Alpine, Tx-----The 2018 Big Bend Ranch Rodeo is now in the record books. The August 10th-11th event was full of excitement, sportsmanship and suspense. The best cowboys from Texas and New Mexico are always amazing as they show off their skills. We continued the “2 go” format and the cowboys provided lots of excitement and entertainment for the record crowds each evening. 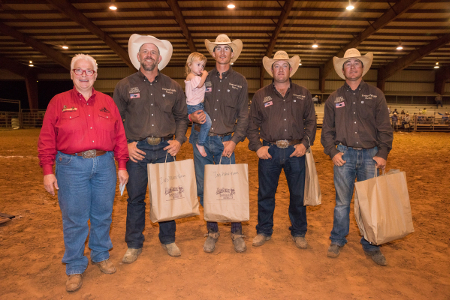 CONGRATULATIONS to the Thompson Ranch from Munday, TX who were the 2018 BBRR Champions. This is a back-to-back win for the 2017 Champions. 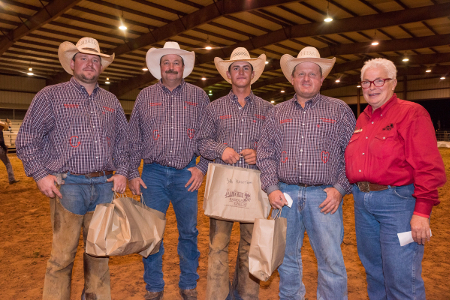 Besides cash and prizes, the team wins an automatic bid to the Working Ranch Cowboys Association World Championships held in November in Amarillo, TX. The Thompson team scored points in almost all five events on both Friday evening and Saturday evening. 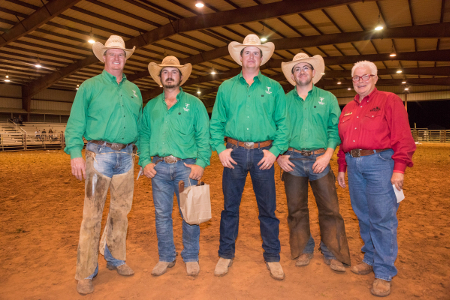 The Thompson Ranch, owned by Larry Thompson and managed by Tyler Thompson, is a cow/calf operation and brands a DOUBLE T.
Thompson Ranch team members are Captain Tyler Thompson, Kolton Burnett, Chace Thompson, and Chad Williams. 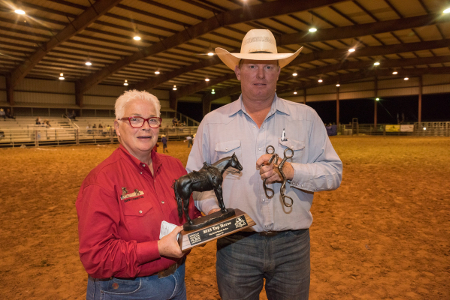 ROSCOE, a 12 yr old Roan gelding ridden by Rodey Wilson from the Wilson Cattle/Haystack Cattle team was named Top Horse. 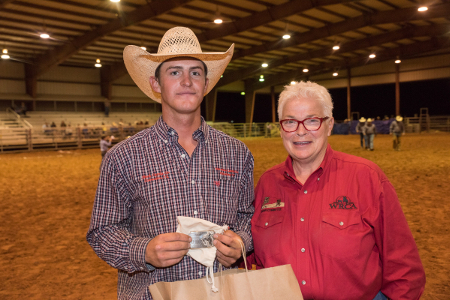 Cutter McClain from the Detwiler Cattle/Heck Cattle team was named Top Hand of the rodeo. The winner of each class in this youth competition wins an automatic bid to the Championships in Amarillo. This rodeo drew great crowds each night, many people traveling long distances to the Ranch Rodeo experience in West Texas. The rodeo has been supported by many Big Bend community businesses, without whose support this Rodeo would not be possible. THANK YOU to everyone who has supported us. We have already starting planning for the 2019 Big Bend Ranch Rodeo so, mark your calendar for August 9-10, 2019. You do not want to miss the fun!